Top quality custom leather rifle sling, made with the same 10 oz. leather as all of our products. Made with Crosses through out the sling. 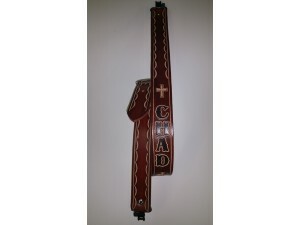 Customize with the name of your choice, and you decide on the width length and color. Shown in Dark Brown.